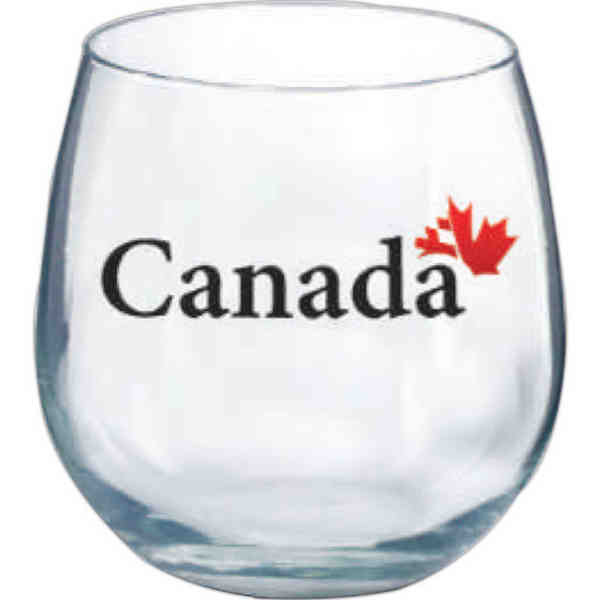 Increase the profile of your business with this Vina stemless red wine glass! It's made in the USA and holds up to 16 3/4 oz. of liquid. You can even use this for soda, juice, or water. This is a great item in which to serve your customers the best at a bar or restaurant. Use any of our multiple imprinting methods to add your company name or logo and become known as a brand that treats its customers like royalty! Imprint Size:2 3/4" W x 1 3/8" H, 11"